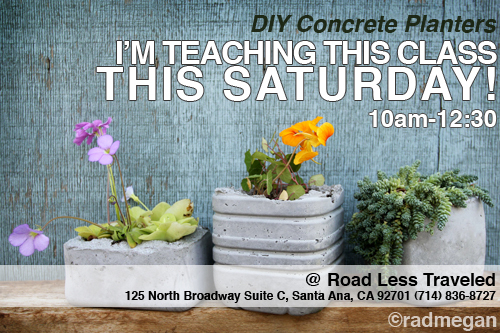 I’m teaching my Concrete Planter Workshop THIS WEEKEND at Road Less Traveled, in Santa Ana, CA from 10am-12:30pm. 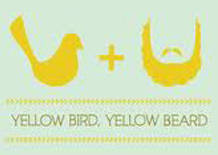 Call the RLT at 714.836.8727 to sign up- Space is limited! 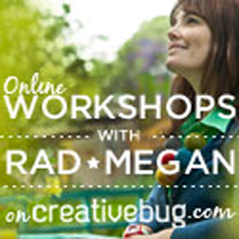 Earth Day Craft Workshop! Needle-Felted Peeps Class! Now Enrolling! 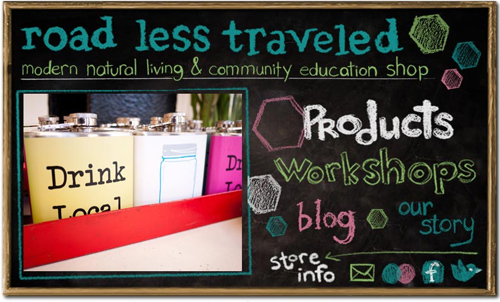 Molded Concrete Planters Last Chance for the Terrarium Class!! UCC Class Re-Cap: Needle-Felted Easter Peeps! I’ve got it bad, got it bad, got it baaaad, I’m hot for TEACHING! !